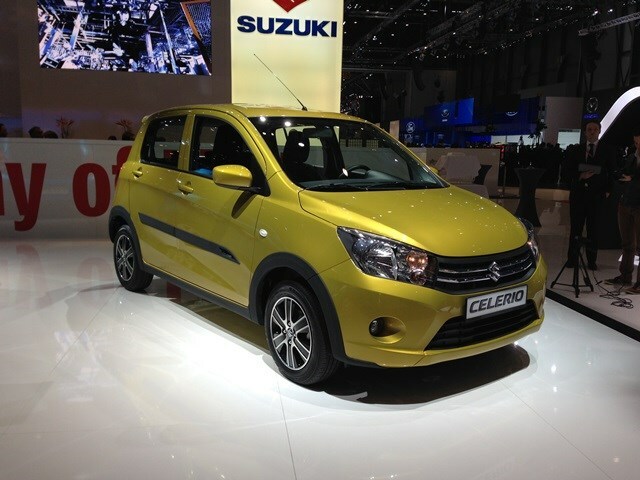 Suzuki has unveiled its all new city car, the Celerio. It may sound like an ice lolly but this is the Japanese company’s new city car that will be sold around the world. That’s a similar approach Nissan took with its new Micra with just one small car product for all global markets. That’s great for economies of scale but the design may not appeal as readily to UK tastes. Suzuki does believe the Celerio will be one of the roomiest city cars and its boot is larger than the current Suzuki Alto small car. The car will be coming to the UK and will be powered by small, efficient petrol engines that are likely to be low polluters. This means low - or in some case no - road tax. It’s thought there won’t be a hybrid version or diesel-powered versions though. The Celerio will be built in Thailand and will be arriving on UK shores in January 2015. While the Celerio is going on sale alongside the existing Alto and Splash, expect both of these small cars to exit stage right once Celerio sales ramp up.